I've had cornsnake for a few months, first time reptile owner, learning a lot. I wonder if it would be a good idea to get or make some kind of heated bed I could put on my desk while working there for short times. If so, has anyone seen a small one made for a snake? Or has anyone made one? Ideas? The whole benefit to her is interacting with you and being comfortable in your presence. Putting her on a heat pad so you can see her defeats the purpose. Take her out and handle her and she will eventually crawl around on your lap, and don't be surprised if she naps there too. Yes, I agree. But so far she mostly climbs up in my shirt or wraps around me in some other way that I can't sit back or type. So sure, I'd let her do that for a while, but then also have her right next to me for a while (hands free). I imagine sort of back and forth for a limited period every day. I can put her on my desk and she'll crawl under some papers, but she must be too cold there. So I put her back in her normal enclosure. I wrap my snake around my neck, and we go shopping and driving, and watch tv and go for walks, etc... He pretty much stays there. Sometimes he will crawl down my shirt but that's no big deal. Alright, this is going OT, but… I put on facebook a picture of my kids with the 2-year old cornsnake around his neck. All of you know that's absolutely harmless, but some relatives flipped out. I had to assure them that even a fully-grown 6-foot cornsnake could not strangle or suffocate a 1-year old with arms. I am almost certain this is true from what I've read any experienced so far, and because I can't find (google) any reports of anyone being seriously injured by a grown cornsnake. Can anyone provide any definitive proof to reassure the phobics? 2. to clarify, my son is almost 8 now. was saying 1-year-old to emphasize the point. you have to be a "Paying member" to be allowed to edit your own posts. You might be able to talk nicely to a moderator and get them to edit for you, but I've found they are usually quite reluctant to do so. As to your question, can a 6 foot corn snake harm a child, I'm going to say, No. 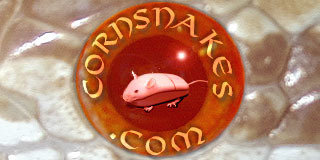 Yes the snake may squeeze a bit, and it could even bite, but most corn snakes are quite docile. ***There are exceptions to the rule however, and they are folks I run into on this site from time to time that talk about how demonic their corn snakes are. *** Speaking only for myself, my corn snake is 4 years old and has never even tried to bite anyone. It's probably "Not a good idea" to place a corn snake around a toddler or Baby's face though, because if the snake did for some reason bite, it could catch the child in the eye, damaging the eyesight. (I do know a kid that got bitten in the eye by a Boa long ago.) He's blind in that eye today. I would be more concerned about the corn snake's biting a child than the constricting.